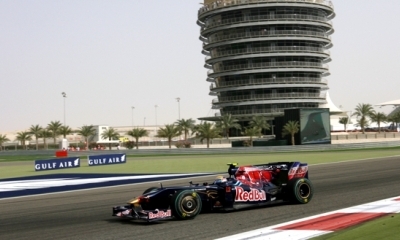 Welcome to the Formula 1 Gulf Air Bahrain Grand Prix. 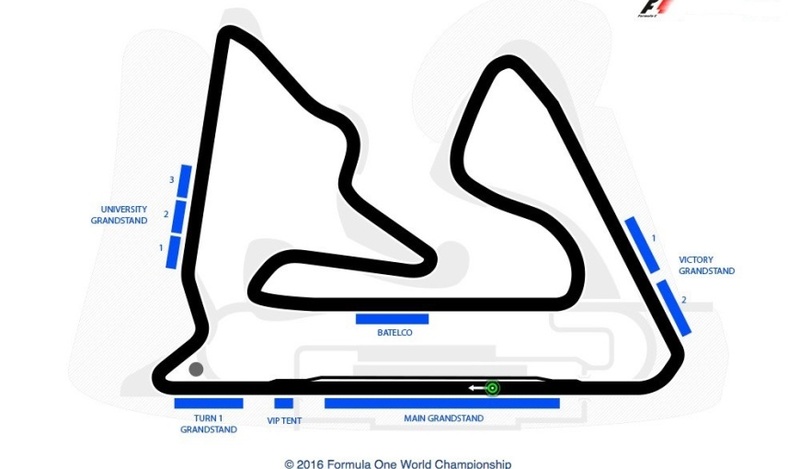 Bahrain’s Sakhir Circuit will yet again stand out in the calendar as the only desert Formula One track among the 21 races worldwide. Situated on the south side of the Bahrain island, this modern first-class facility completely surrounded by sand will ensure an exceptional Grand Prix setting. Also famous for being a magical night race, this Grand Prix will bring together a unique atmosphere for the podium battle. While you are visiting the sunny island of Bahrain, take the opportunity to explore the bustling capital of Manama only 30 km north of the circuit. Fashioned into two separate grandstands, the Victory complex carries you to the last section of the track. On the verge of the ultimate corner, witness the drivers ‘composure as they maneuver their way through this double right-hander and storm towards the finish line. Seats in the Victory Complex also stretch a decent view of the back straight and the double apex turn (curve 11). Three separate grandstands make up the University grandstand of the Bahrain Grand Prix. With a privileged view on turns 2 and 3, hear the engines roar as the cars speed round the curves and head onto a straight segment in full throttle. Overlooking a good part of the circuit including the desert loops and the back straight, tickets to this grandstand are bargains. Moreover, you’ll benefit from a giant screen just opposite the stand to follow the race on the rare parts of the track that aren’t visible. With a ticket to the Main grandstand, you will experience some of the most exciting and intense moments of one of the season’s hottest venues. Overseeing the starting line, the main grandstand offers a privileged view of the start and finish of the race, pre-grid action, pit-lane activity and the podium. Distant views of the majority of the track are also included. Although a portion of the track remains out of sight due to the Batelco Grandstand, you may also follow the the race on 3 giant screens. * Conditions: Prices per person in NZ$, twin share on board basis and ticket category as listed above . Payment: 60% non-refundable deposit due at the time of booking. Balance due 150 days before departure. Balance is subject to exchange rate fluctuations and price is guaranteed only upon receiving full payment. Subject to availability and AIM Holidays T&Cs as listed on our website.